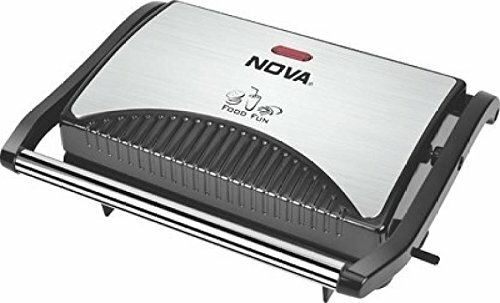 Nova 2 SLICE SANDWICH MAKER Grill (Black & Steel) Price Comparison, Specifications, Images, and Video is a topic lets you compare the price of the product in all online stores and provide all information about the product before you buy online. 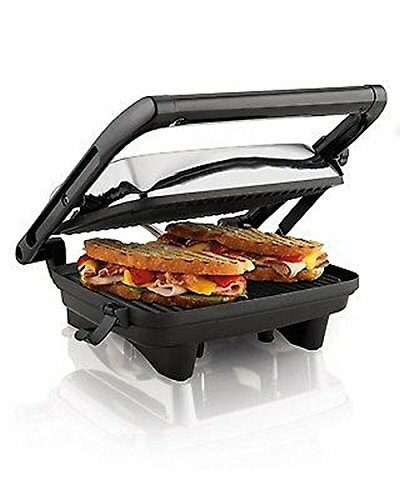 This Nova 2 SLICE SANDWICH MAKER Grill (Black & Steel) has a cool-touch body and can easily accommodate up to two bread slices. The Teflon grill plates offer a non-stick surface, making it easy to grill a sandwich. It also features a lid lock. 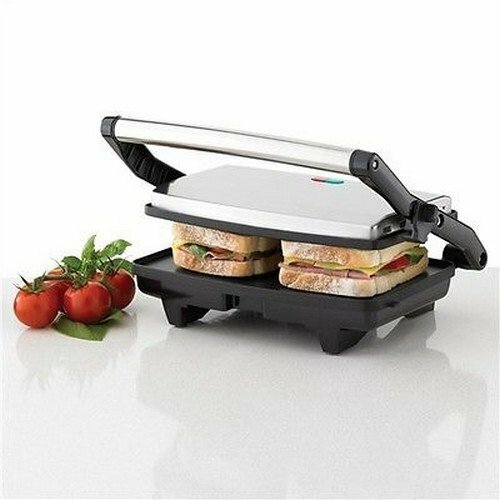 The toasting and grilling functions allow you to make an assorted variety of crisp and delicious sandwiches. 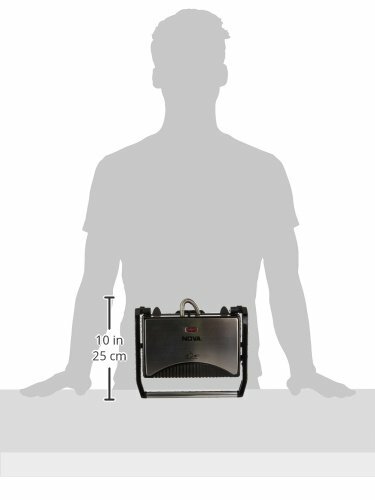 This SANDWICH MAKER has a cord length of 1.2 meters which lets you place at a distance from the power socket. 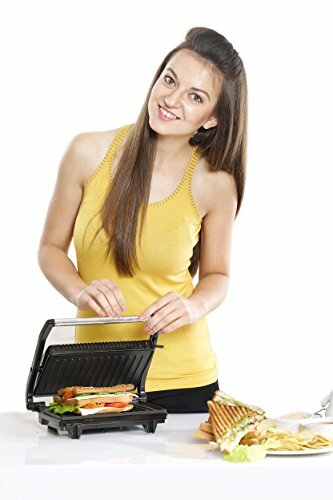 You can use multiple varieties of slices of bread to grill or toast in this device. 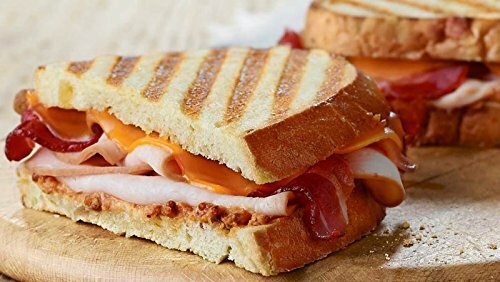 To prevent your sandwich from getting overcooked or burnt, this device comes with a light indicator which informs you of the progress of your sandwich. Cleaning this device is now simple in the event of any spillage. 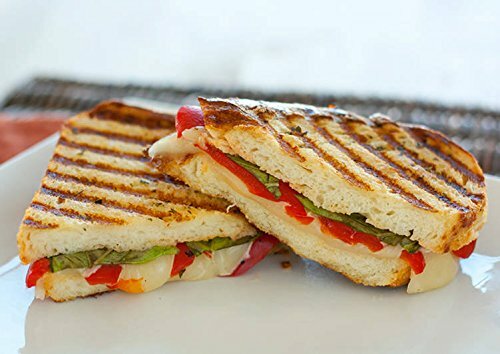 Due to the grill plates, the sandwiches use less oil, making your meal healthy and fresh. Not Covered in Warranty 1) Warranty does not cover damage caused to the product due to improper installation by customer; normal wear and tear caused due to use of product. 2) Warranty does not cover any external accessories to the product (such as battery, cable, carrying bag etc.) 3) All plastic, rubber, glass, or aesthetic parts and consumable replacements will be on a chargeable basis. 4) All transportation & handling expenses incurred while replacing or repairing will be payable by the Customer. 5) Warranty shall be voids if: a) The type or serial no. on the product has been altered, removed or defaced. b) The product is not operated as per the instructions given in the User Guide, if any. 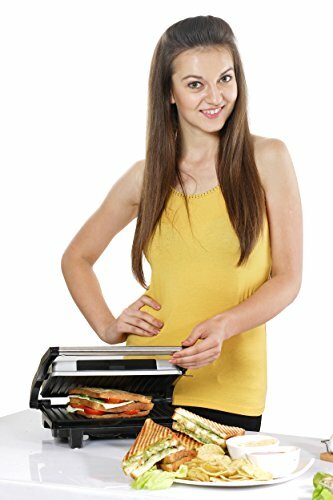 Prepare a quick and healthy snack in the comfort of your home with the least effort after buying Nova 2 SLICE SANDWICH MAKER Grill (Black & Steel). 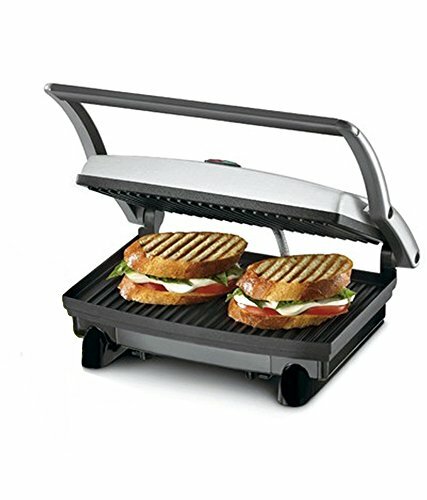 The toasting and grilling functions allow you to make an assorted variety of crisp and delicious sandwiches.